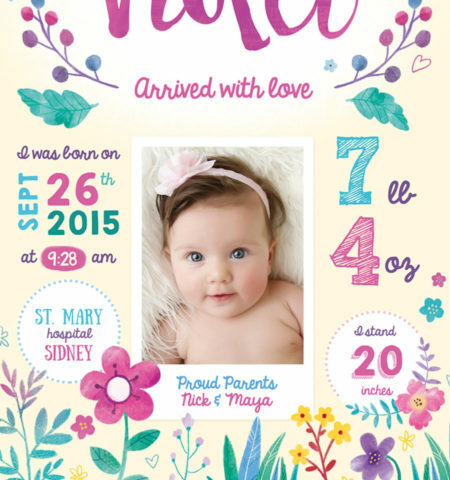 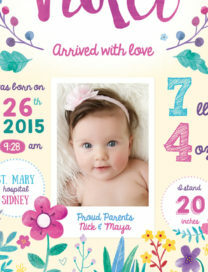 This lovely birth announcement print can be personalised to feature the name, weight, date of birth and other details of a new born baby. 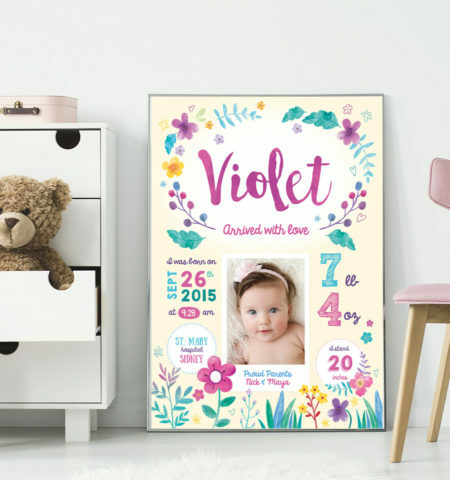 It is colourful and contemporary and would look great in modern nursery. 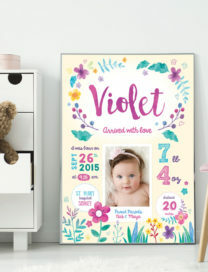 This print would be the perfect gift for a new baby.